My son is two and he loves Minions! When my husband brought home bananas I got to drawing these guys. It was so easy and is such a fun thing for kids to find packed in their lunchbox. I just used a blue and black marker to make them, though the blue looks a bit green because of the yellow in the banana so I would recommend a darker blue, or going over it a couple of times. 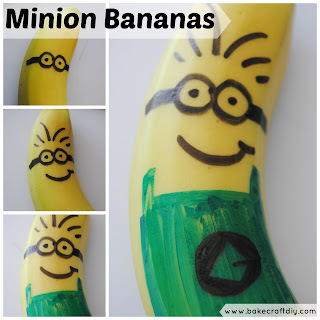 Each banana took maybe a minute to draw. Here is a photo collage showing how I drew mine! Hope you all are having a happy summer! What did you think of the movie? We are thinking of taking our son to see it at our local drive in theater. Cute! I did a post on a minion party we just had. Kids just love those guys . These are adorable! How easy and fun! What a cute idea. I am sure my kids and husband would like these in their lunch boxes. Oh wow! These are adorable! 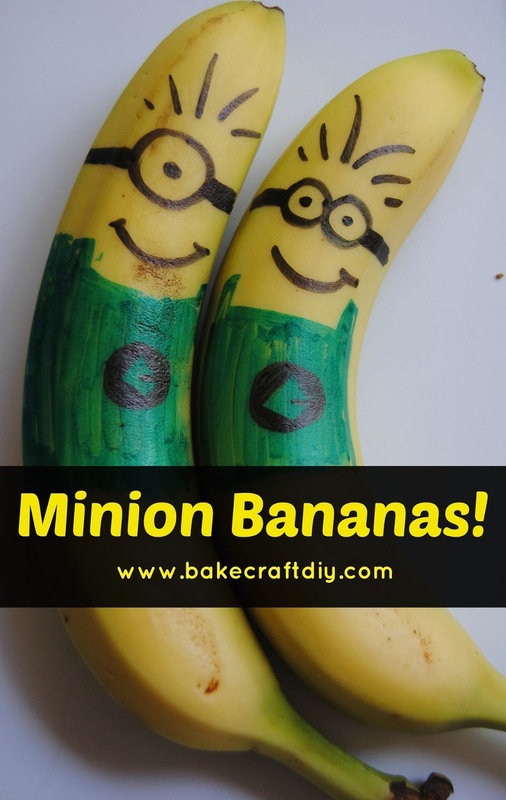 My girls are into minions too and they each eat a banana every day with breakfast, I definitely need to do this! What a cute and easy craft! 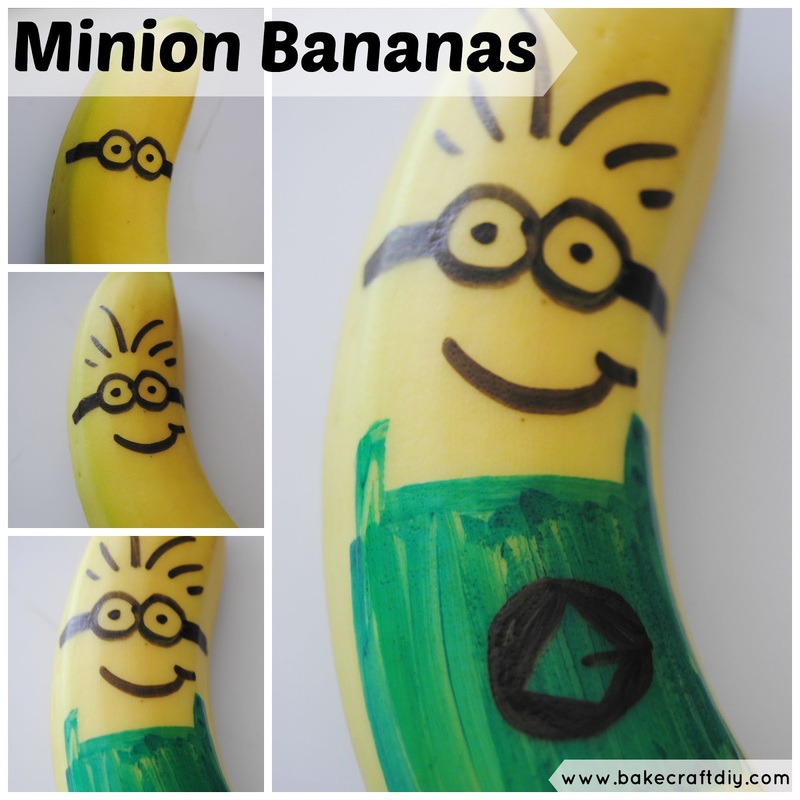 As if my daughter could love bananas any more! 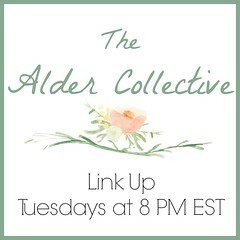 Thanks for linking this up to the Welcome Home Wednesdays link party! Hahha this is so cute! I can just image putting this in a school lunch as a surprise! Thanks for sharing...we hope to see you again next week! This is so cute! I love the idea of packing a fun little surprise for the kiddos in their lunch! What a sweet and thoughtful idea! Thanks for linking up with us at Welcome Home Wednesdays... can't wait to see you next week!